The Prostate Cancer Foundation (PCF) hosted the 2018 New York Dinner at the Restaurant Daniel at 60 East 65th Street in New York City and raised $11 million dollars to support the foundation. 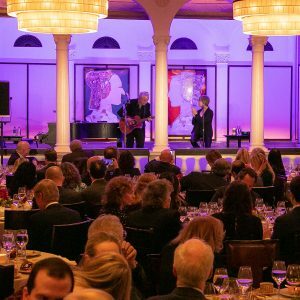 The highly anticipated Dinner at Daniel was an exquisite culinary experience featuring a special guest performance by Grammy® Award winners Pat Benatar and Neil Giraldo. The memorable evening welcomed leaders in medicine, top research scientists and distinguished New York City socialites to explore refined European cuisine, world-class wines and the gracious hospitality at Restaurant Daniel in support of the Prostate Cancer Foundation. Notable attendees included: Michael Milken, Lori Milken, Dr. Jonathan Simons, Plum Simons, John Barry, Daria Barry, Bonnie Pfeifer Evans, Igor Tulchinsky, Joe Torre, Ali Torre, Rob Citrone, Cindy Citrone, Seth Bernstein, Marie Bernstein, Larry Leeds, Steven Cohen, Ted Virtue, Dani Virtue, Charles Swansen, Elizabeth Berry-Swansen, Victor Rodin, Neal Rodin, Jeff Karish, Samantha Coyne, Terry Coyne, John Gordon, Kristen Steinberg, David Steinberg, James Coleman, Candace Bushnell, Dr. Elliot Abramowitz, Dean Metropoulos, David Corleto, Courtney Corleto, Adam Cohn, Marina Cohn, Christian Dietrich, Simone Friedman, Leon Black, Debra Black, Greg Brown, Randy Levine, Tad Smith, Caroline Fitzgibbons, Sybil Yurman and David Yurman. 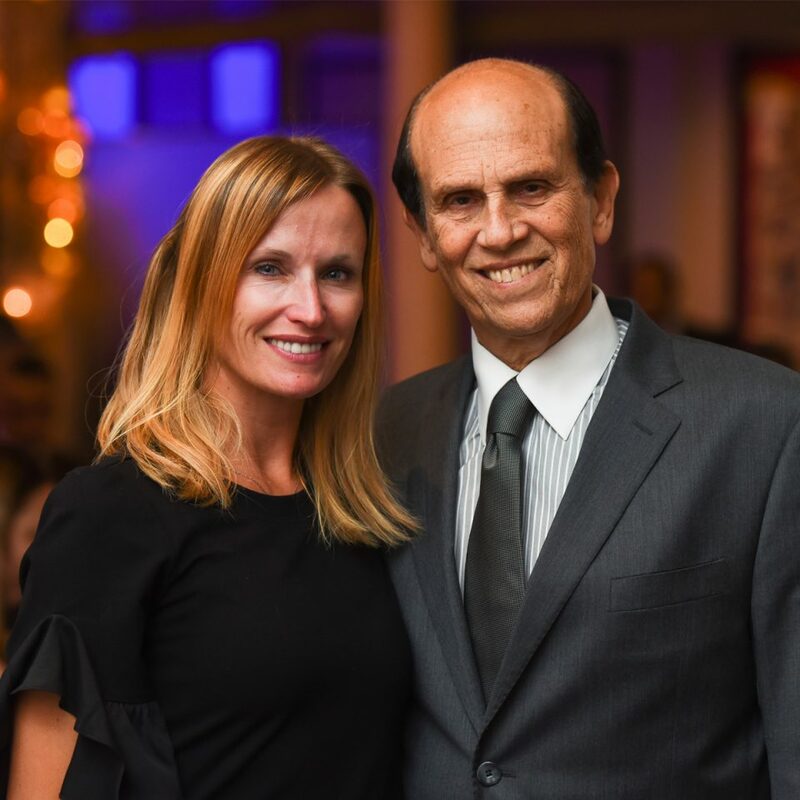 The charitable organization founded by Michael Milken is dedicated to identifying and funding groundbreaking cancer research programs. In true PCF fashion, the 2018 Dinner at Daniel commenced with a series of questions covering topics pertaining to PCF, cancer research and veteran care. Guests participated in the brief icebreaker by raising their hands, and ultimately, learned thought-provoking facts regarding the state of veteran care and those affected by prostate cancer. For instance, a crippling 33% of male U.S. veterans have been diagnosed with prostate cancer. In their efforts to advance prostate cancer research and improve the lives of patients, the Prostate Cancer Foundation found that American veterans are often underserved. PCF’s partnership with the Department of Veteran Affairs (VA) aims to create Centers of Excellence throughout the country that will bring state-of-the-art precision oncology care to veterans. Dinner guests graciously contributed in support of the exciting partnership between the PCF and the VA. The Barry & Daria Foundation matched their previous $2.5 million gift, committing, in total, $5 million to support equally both the Manhattan Campus for Precision Oncology Center of Excellence as well as a new campus in Florida. The 2018 New York Dinner was a momentous occasion celebrating the generosity of various supporters, constituencies and stakeholders. This year marks the 25th Anniversary of the Prostate Cancer Foundation’s impact on cancer research and people’s lives. Throughout the years, PCF has enacted several programs and initiatives to save lives, improve the quality of life for those affected, develop precision disease detection leading to better treatments, bring awareness while encouraging action, cultivate talent, build a global funding engine and create a scientific model for curing cancer. The Charles Evans Trust has been instrumental in funding groundbreaking discoveries in cancer research with the Annual Charles Evans PCF Pro-Am Tennis Tournament. Jan Haber, Vice President of Events for the Prostate Cancer Foundation, acknowledged Charles Evans trustees Bonnie Pfeifer Evans and Joel Pashcow for their commitment, support and friendship to the organization and being the official lead sponsor since 2011. Champions of the Charles Evans PCF Pro-Am Tennis Tournament in 2017, Larry Leeds and Marie Bernstein were awarded division trophies. Throughout the 2018 New York Dinner at Daniel Restaurant, notable guests were recognized for their commitment to cancer research and their continued support of the 501(c)(3) nonprofit organization. Headlining the evening, Pat Benatar and Neil Giraldo delivered an incredible performance of their classic rock hits. PCF’s Board of Directors includes business leaders such as Michael Milken, Lori Milken, Andrew J. Astrachan, James C. Blair PhD, Steven A. Burd, Peter T. Grauer, David H. Koch, The Honorable Earle I. Mack, Neal I. Rodin, Andrew C. von Eschenbach, MD; Drew Pinsky, MD, and radio and television host Clark Howard.